If your business is in financial difficulty, it makes senses to look for insolvency advice and assistance and we suggest you do this at an early stage to ensure the best prospects of turning a struggling business around. 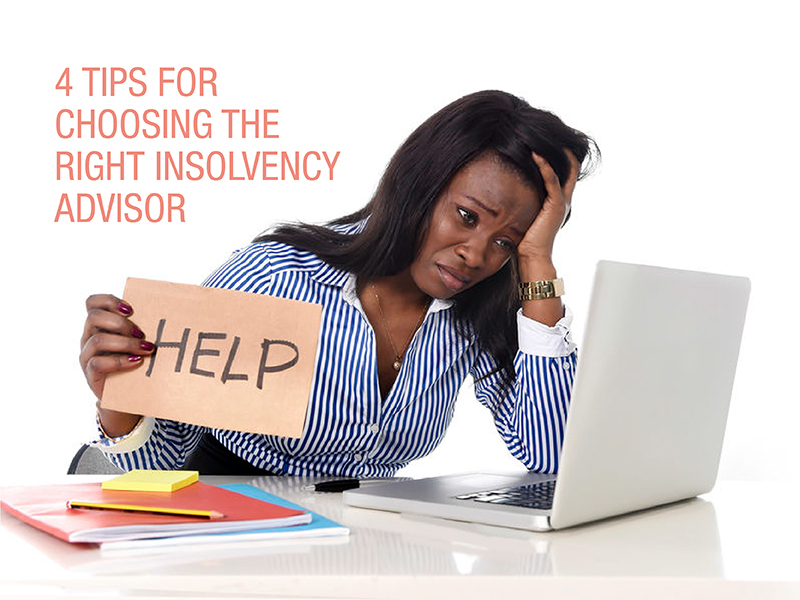 But what should you be on the lookout for when choosing the right insolvency advisor? We recommend that you look at the following four issues prior to engaging someone to assist you. You wouldn’t engage someone who wasn’t a licenced builder to build your house. Similarly, if you’re looking for insolvency or restructuring advice, make sure that your advisor has the appropriate professional qualifications and memberships. It may seem obvious – but it goes beyond simply engaging someone who is qualified to give you good advice. It also means that if you encounter any problems or disputes, you may be able to raise these issues with an appropriate regulatory body. If your advisor holds no qualifications or professional memberships, it’s more difficult for problems to be dealt with, as there is no professional body to receive your complaint. Registered Liquidators and/or Bankruptcy Trustees. If you’re in the process of choosing the right insolvency advisor, get an upfront indication of the costs associated with assisting you. It’s not uncommon for professionals to request an initial upfront payment for certain work. However, be careful about how much is paid upfront and how those funds are applied towards future costs. Most qualified accounting and legal firms providing insolvency assistance will ask for an upfront payment; but they will then apply these funds towards future costs, calculated on a time-cost basis. They will also provide fee notes once costs have been incurred. Unregulated and unqualified insolvency advisors may just charge an upfront fee, sometimes for a significant amount; say $15,000 to $25,000 (or more). Sometimes, the services that this fee is meant to cover are uncertain. It may also be difficult to get funds back if you wish to disengage their services or change your mind about what you want to do. There is usually no “quick fix” to financial problems. Following the wrong advice, with promises of a quick and easy solution to complicated problems, can lead you down a path that ultimately costs you more time and money. It could also put you at risk of committing offences. If your “advisor” is telling you to strip assets from your business, destroy books and records or take steps to hamper future investigations, you may be engaging in illegal activity. Beware, as this is currently the subject of a major crackdown by ASIC and the ATO. It is also common for directors to receive cold calls from ‘pre-insolvency advisors’ promising easy turnaround solutions if their company is facing liquidation. This can also lead to problems down the track and is the subject of warnings issued by ASIC. A very common approach for unqualified insolvency advisors is to suggest selling an insolvent entity’s business and assets to another entity. This is commonly referred to as a phoenix arrangement and, depending on how the sale is transacted, may or may not be legal. Often, unqualified insolvency advisors will charge a significant upfront fee for this service. While this strategy may sometimes be appropriate, it often overlooks issues that can result in future problems for company directors. Transferring a business’s assets to another entity to avoid paying unmanageable debt may seem good in theory but, even if the sale is conducted legally, a director needs to ask whether the new business can trade profitably in the future. If it cannot, there is no real reason to start up a new company/business that is ultimately going to fail (and incur the costs associated with this). Even if the “sale” occurs, directors may still be liable for personal guarantees that they have given, which must be paid. Directors may still be liable to the ATO for director penalty amounts, which can lead to the issuing of Director Penalty Notices. There can be problems dealing with suppliers/creditors in the future, if these parties have not been paid by a previous business. If your business is starting to show signs of distress, choosing the right insolvency advisor as soon as possible is an important first step. A considered approach to resolving financial problems is always the best way – and you can achieve that with the assistance of a qualified professional. If you need help and advice on a struggling business right now, contact us here.